In just a few short years, the Master’s in Management degree has gone from being a new, untried credential to a proven means of getting ahead in business, government, or educational settings. The MSM (Master of Science in Management) and its variations are designed for two specific types of students: one is the business bachelor’s degree holder who has the learning, but not the work experience, for higher-level managerial positions; the other is for the experienced profession or working adult who has a bachelor’s degree, but not in business, and either finds themselves in a managerial role, or wants to progress in their career to management. Unlike an MBA, which includes intensive courses in economics, finance, statistics, and other technical, mathematical areas, the MSM is focused entirely on the demands of management – areas such as Human Resources, motivation, organization, ethics, and leadership. These degrees will often emphasize experiential learning, problem-solving, analysis and argument, and other challenges specific to management, while leaving out the heavy numbers. As the business world becomes more and more specialized, so do the degrees. Because most people who are seeking an MSM degree are already working in their chosen careers, online master’s programs have been especially useful and popular for adult learners. They’re more convenient, faster, and cheaper than most on-campus programs, with the same quality. From public research universities, regional colleges, private business schools, and small liberal arts colleges, higher education institutions have been working to put together Master’s of Management online programs to meet their demand. 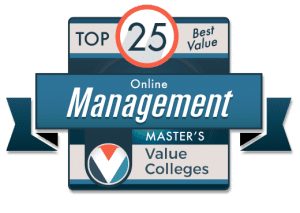 That’s why Value Colleges has put together the Top 25 Online Master’s in Management Degrees of 2019. With this data and our formula, we determine which programs give graduates the most reliable return on their educational investment, providing a quality education at the right price, with a strong showing on the job market. That’s the Value Colleges standard. CSU-Global Campus serves as the online distance-learning platform of the Colorado State University System. 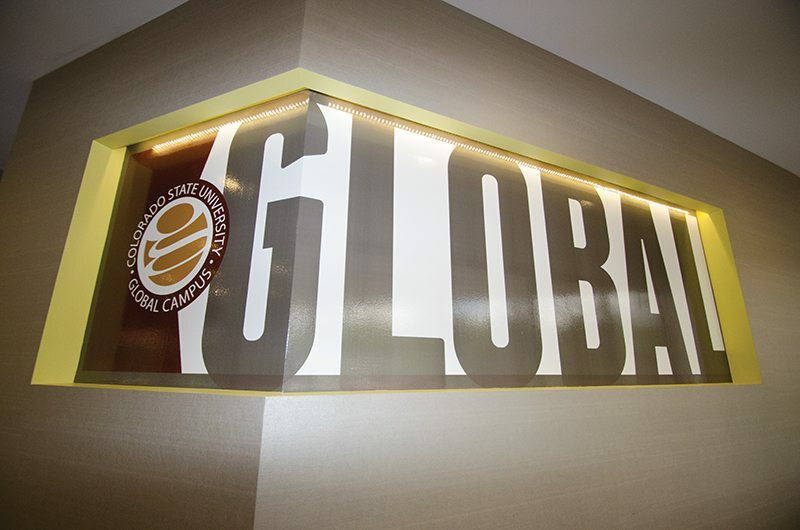 The administration of CSU-Global is located in the Denver suburb of Greenwood Village, CO. CSU-Global offers adult-focused professional programs for those students who cannot attend on-campus programs. Currently, the online platform that CSU-Global utilizes is a digital platform, Schoology. CSU-Global Campus’ tuition rates have remained unchanged for the past seven years, adding to their reputation as a best value. Kettering University’s online Master’s in Business Management degree program specializes in Operation Management. Kettering’s MS in Operations Management provides a flexible learning pathway to a degree that can be obtained in as little as a one and one-half year. Kettering University’s online Master’s in management and leadership programs are fully accredited by the ACBSB. Graduates find career opportunities in the areas of operations, procurement, and revenue. Payscale.com recognizes Kettering University as a top school with regard to one’s Return-on-Investment (ROI). Originally known as the General Motors Institute of Technology, Kettering University is a private experiential institution of higher learning to focus on the field STEM fields of science, technology, engineering, and math. The US News & World Report recognizes Kettering University as the country’s seventh-best mechanical engineering program. Kettering University graduates must complete five cooperative terms with one of the school’s 550 corporations that have partnered with the school. The Stevens Institute of Technology’s online MS in Management program has been recognized as one of the best online Master’s in Management degrees in the country. Coursework includes strategy, leadership, innovation, and Economics across a wide spectrum of interdisciplinary studies. The Stevens Institute of Technology’s Master of Science in Management program can be completed in about 12 months, and complements a variety of other baccalaureate degrees. The Stevens Institute of Technology was established in 1870, just outside of New York City in Hoboken, New Jersey. In addition, the Stevens Institute of Technology operates a satellite campus in the nation’s capital. It holds the distinction of being the first institution of higher learning that was exclusively dedicated to the field of mechanical engineering, The school’s 50+-acre urban campus borders the Hudson River and is home to more than 6,000 students. The Stevens Institute of Technology is known as THE Innovation University. The University of Colorado Denver’s online Master of Science in Management degree can be earned either completely online or as an on-campus hybrid program. The same world-renowned faculty of UC Denver educating students on campus, also teach the school’s Master’s in management online programs. The University of Colorado, Denver’s graduate degree in management offers 10 dual degree options. Students can opt to pair their degree with a degree in Taxation, Information Technology, Business Analytics, Finance, Health Administration, Marketing, and Accounting, among others. Degree specialization options are available in the specialty fields of Business Strategy, Construction Engineering, Entrepreneurship, Technology, Leadership, Sustainability, Human Resources, and Sports & Entertainment, among others. The University of Colorado, Denver was founded in 1912 and a is member school of the University of Colorado System. It operates from two campuses. The main campus is in downtown Denver. The school’s medical center is located in Aurora, CO. The school is considered the largest research school in the state as well as one of the largest employers in the Denver metropolitan area. The renowned Kelley School of Business offers Indiana University Bloomington’s MS in Strategic Management degree. The Direct Online program is generally completed between fifteen months and three years, at a pace that works for the student. The 30-credit online Master’s in Management degree program includes coursework regarding strategic thinking, operations, organizational behavior, and competitive analytics. This online graduate degree program begins in the fall each year. The online graduate degree program has an application deadline for domestic students of August 1st. 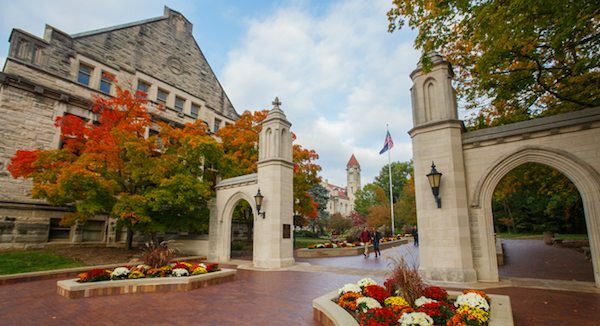 Indiana University Bloomington is a public institution of higher learning that was established in 1820. It is the flagship school of Indiana State University system and the largest school within the system, with nearly 44,000 students. Indiana is recognized as a Public Ivy University and regularly ranks among the top 50 public universities in the nation. Impressive alumni include the discoverer of DNA structure, James Watson, along with nine Nobel laureates. Michigan State University’s online Master’s in Management and Leadership that offers degree candidates an educational pathway that prepares them to lead businesses and innovatively problem solve to effect change. Offered by the Broad College of Business, Michigan State University’s online Master’s in Management online programs are recognized by US News and World Report among the top online business programs in the country. The online program requires the completion of 30-credits which is typically completed in about two years. The constitution of the state of Michigan was the vehicle that established Michigan State University in 1862, as a model school for future schools opening as the result of the Morrill Act. With regard to enrollment, Michigan State University is among the largest universities in the nation, with more than 50,000 students. Initially, the school began as one of the first agriculture science schools in the country. 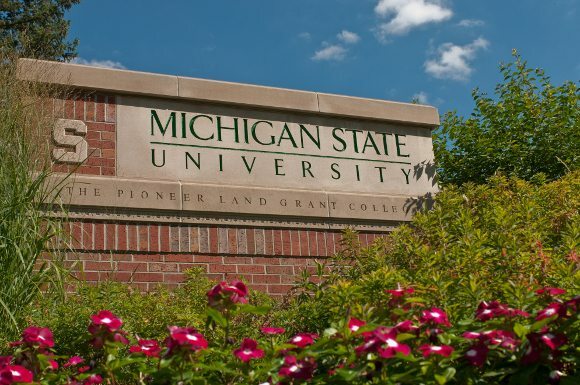 Women were admitted to Michigan State University for the first time in 1870. Georgetown University’s online Master of Professional Studies in Technology Management is one of the most unusual online master’s in management program in the nation. As a master of professional studies, Georgetown’s program is focused on the needs of working adults and busy professionals, with both on-campus and online formats. At 30 credits, the MPS can be completed in as little as 2 years, and provides a strong, hands-on foundation in leadership for the technology industry. Georgetown’s unique Master’s in Management online programs come from a deep and influential history of business education. 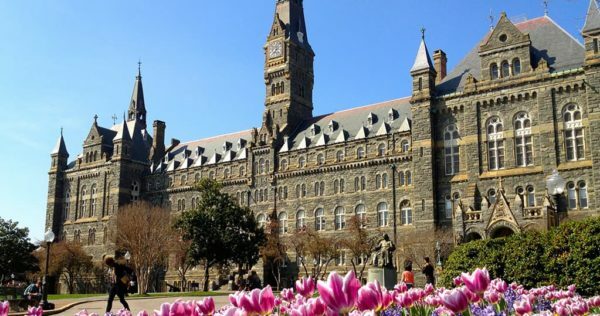 Georgetown is regularly recognized as one of the nation’s most elite private research institutions, and its connections throughout Washington DC have made it one of the most influential schools in the nation. Georgetown graduates find themselves in the company of some of the nation’s most powerful leaders. Embry Riddle Aeronautical University’s online MS in Management has been accredited by the Accreditation Council for Business Schools Programs (ACBSP). ERAU’s online Master’s in Management degree program prepares graduates for successful careers in the areas of Global Management, Operations, Human Resources, Project Management, and Leadership. Degree graduates are ready to enter the workforce to apply recently-learned advanced managerial techniques. Additionally, graduates have creative problem-solving methods to overcome current business issues. Embry Riddle Aeronautical University’s online graduate management degree program requires the completion of 30-credits to graduate. 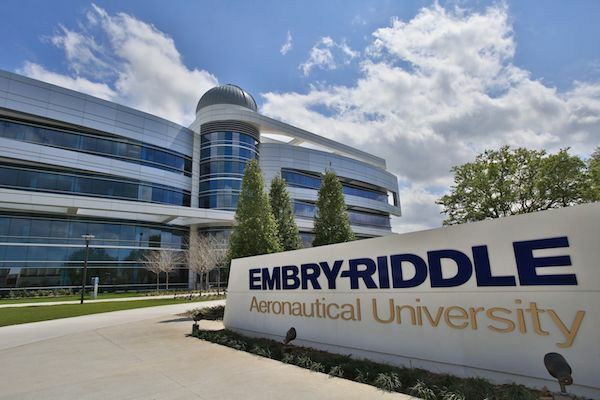 Embry Riddle Aeronautical University was established in 1926. It is recognized as the largest institution of higher learning dedicated exclusively to aerospace and aviation. Embry Riddle Aeronautical University operates two campuses: the first is in Daytona Beach, FL and the other in Prescott, AZ. Both campuses are home to more than 30,000 students. ERAU holds the distinction of being the country’s first Federal Aviation Administration (FAA) training school to issue airline certification for students. The University of Texas at Dallas’ online MS in Management Science requires the completion of 12-credit hours of core curriculum plus 24-credit hours of elective courses. This online Master’s in business management degree program offers specialty concentrations in IT Management, Marketing, Accounting, Finance, Supply Chain Management, and Business Analytics. The University of Texas at Dallas provides outstanding internships and job placement opportunities to degree candidates and graduates. Nearly 75% of School of Management students receive some sort of financial aid to facilitate tuition fees. The University of Texas at Dallas was established in 1969 and a member school of the University of Texas System. 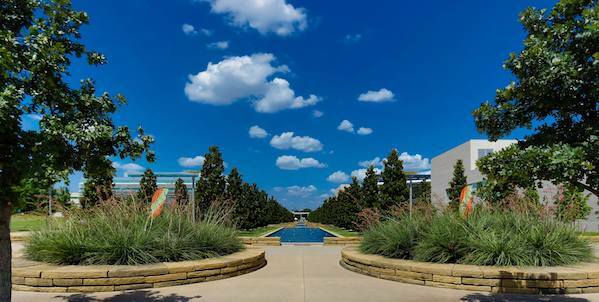 It originally began as the Southwest Center for Advanced Studies — the research component of the powerhouse company of Texas Instruments (TI). Texas Instruments bestowed the school to the University of Texas, which eventually became the University of Texas at Dallas. Today the Naveen Jindal School of Management is considered one of the nation’s top business schools, especially in relation to technology. The CUNY School of Professional Studies’ online Master’s in Management and Leadership prepares graduates as future business innovators and problem solvers. Career opportunities for graduates of the Master’s in Management online programs find rewarding careers as Risk Managers, E-business Specialists, Payroll Directors, or Public Relations Experts, among other job positions. CUNY’s online graduate management degree program is recognized by College Choice, as one of the best online Master’s in Management programs and the most affordable program of its kind. The CUNY School of Professional Studies was established in 2003 as a part of the CUNY school system. The school is located in midtown Manhattan and was the first CUNY School to offer distance-learning possibilities. The School of Professional Studies began with the purpose to provide working learners a chance to reach for more advanced studies. The CUNY School of Professional Studies also chooses to partner with employers to create training programs for their employees. Concordia University St Paul’s online MA in Leadership and Management prepares graduates to become influential leaders with the skills to effect change through motivation and managerial skill. The coursework can be completed entirely online and requires the completion of 36 credit hours to graduate. Concordia University offers competitive tuition rates and generous financial aid to its adult learning population. College Scorecard notes that Concordia University’s master degree graduates earn more than 40% more than the national average. Concordia University was established in 1893 and holds an affiliation with the Lutheran Church-Missouri Synod (LCMS) — one of the largest Lutheran Church bodies in the country. The school’s 40+-acre campus is home to more than 5,000 students, colloquially known as Golden Bears. Concordia University St. Paul offers both on-campus and online degree and continuing education programs. Concordia University, St Paul is recognized as one of the most affordable private institutions of higher learning in the state of Minnesota. 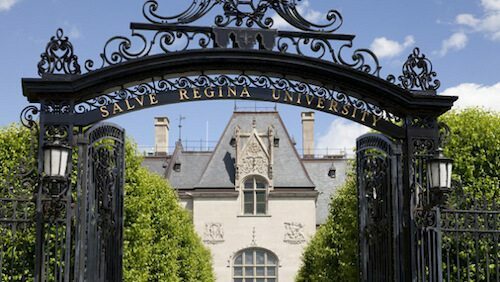 Salve Regina University is a nonprofit institution of higher learning that was established in 1934. Its suburban campus is home to more than 2,500 students. In addition to its domestic programs, Salve Regina University offers an assortment of study-abroad programs. While SRU is particularly known for its nursing programs, the university’s business program is steadily growing in recognition and reach, especially as Salve Regina embraces online education. Indiana Wesleyan University’s online MS in Management can be completed one night a week on campus or entirely online. This online Master’s in Management degree program has received accreditation by the Accreditation Council for Business Schools and Programs (ACBSP). The 36-credit, ten-course hour coursework required to complete the degree includes Human Resources, Business Policy, Ethics, Finance, Leadership, and Economic Analysis, among others. The degree is typically completed in 18 – 20 months. Additionally, Indiana Wesleyan University’s MS in Management degree program requires the successful completion of a capstone project. 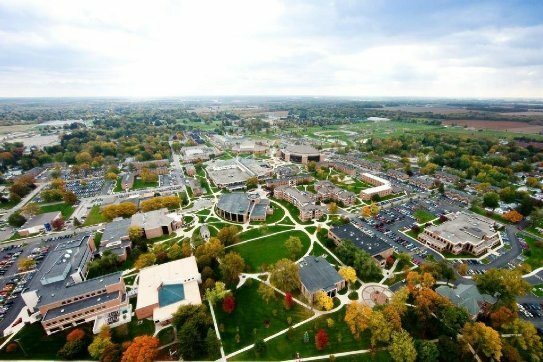 Indiana Wesleyan University is affiliated with the evangelical Christian movement and the largest private institution of higher education in the state of Indiana. 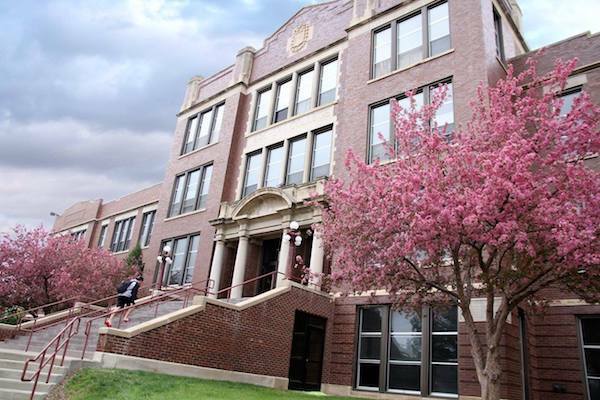 The school was established in 1920 as the Marion Normal School. The Indian Wesleyan University remains with its roots as a liberal arts school that offers AA, AS, BS, BA, MA, MS, and MBA degrees, among others. The university ranks among the top universities in the Midwestern portion of the United States. Maryville University’s online MA in Management and Leadership prepares students for senior roles in management across various industries. One of the nation’s best Master’s in management online programs combines the theory of management leadership with practical application. Students learn the value of team building and develop critical thinking skills to solve problems. They gain a deeper appreciation for honing communication skills. Students are able to select their career track with seven concentrations from which to choose. Maryville students can choose Cybersecurity, which focuses on management and defense in the cyber world. Healthcare Practice Management focuses on management in healthcare, including medical ethics and law. Human Resource Management focuses on management in the workforce including employment law, compensation and benefits. Information Technology focuses on analysis, design, and principles of databases. Marketing focuses on consumers and branding. Project Management focuses on supply chain and process management. Students can choose General Management which allows them to select the electives in which they would like to focus. Texas A&M University Commerce online MS in Management has been regularly ranked one of the best online programs in the US. This AACSB accredited online master’s in management degree program offers the utmost flexibility for students by allowing them to take classes online, in person, or a combination of the two. The student can create a schedule that fits into his current schedule and responsibilities. It is possible to have the GRE/GMAT requirement waived. The degree program can be completed in 30 – 33 credit hours. The mission of the online master’s in business management program at Texas A&M is to produce students with skills to obtain jobs in project management, supply chain management, or human resource management. This program is innovative, challenging, and fast paced to cultivate students’ skills to make critical leadership decisions. They learn tools through the course work and then apply them practically in real world environments. Trenton, New Jersey’s Thomas Edison State University MS in Management is a fully accredited degree program through the Accreditation Council of Business Schools and Programs (ACBSP). This master’s in management online degree program gives students a deeper understanding of leading organizations by combining the theories of management with practical application within organizations. It is 100 percent online and requires 36 credits. TESU’s online master’s in management program is ideal for students who are currently management or administrative professionals in their field. It is a fast paced education coupled with real world experience to help students grow in their current employment. This degree program allows students to focus on developing their leadership skills within an organization while remaining flexible so they can schedule classes around their schedules. Students can choose from one of three specialization in accounting, organizational leadership, or project management. Saint Vincent College’s online MS in Management: Operational Excellence program has students focus on building on their existing work experience with coursework highlighting the challenges that managers face day to day. They learn to reduce waste within organizations to improve quality and efficiency while encouraging commitment from employees. This program focuses on three distinct areas: process, people, and organizations. In the process area, students learn that success requires constant interaction between employees and management in developing standards of operation. In the people area, students are reminded that people are the most integral part of an organization. Managers must foster an environment of dedicated and motivated employees to continue to produce quality. Students learn to incorporate ethical decision making into the culture of their organization. In the organization’s area, students learn how to create a vision for their organization to move them to success. Southeast Missouri State University’s online MS in Management program is geared towards students who do not have an undergraduate degree in a Business Administration major, but are employed in positions that require management and leadership skills. It is a fully accredited program through the Association to Advance Collegiate School or Business (AACSB) and the Network of International Business Schools (NIBS). Students in SMSU’s online master’s in management program will gain confidence and influence in their positions by obtaining the skills and knowledge in this program. Students will learn the benefits of researching and analysis design. They gain fundamentals in management and behavioral statistics. Upon graduation, students have found employment in sales management, assistant marketing data management, and as a database publishing specialist. Minot State University’s MS in Management degree program is recognized as one of the nation’s be master’s in management online programs. Minot’s online master’s in management degree program focuses on the principles and strategies of management of effective and successful organizations. This program is geared towards students who are currently employed but want to obtain a management role and leadership responsibilities. Evening classes are available to students and the program can be completed in 9 to 18 months. Minot State’s master’s in business management students learn the fundamentals of strategic marketing, accounting, human resources, and financial management. Upon completing this program, students will be better able to make leadership decisions to add value to their employer. Students will improve their communication skills which will allow them to be more strategic in their leadership. Students will learn to use innovative technology in an effort to make better decisions. Troy University’s online MS in Management degree program is a 10 course program to be completed in one to two years. They do not require a Bachelor’s in business to apply. Troy’s program is not research based, but rather combines knowledge with hands-on experience to help students become effective leaders. Students are encouraged to use their own employment experience to understand the organization and better able to direct teams. Students benefits from learning how to engage team members to implement change and improvements. Upon completion of Troy’s online master’s in management program, students will be able to find employment in international organizations, consulting firms, government and businesses. Students will enhance their critical thinking skills to help their ability to problem solve within the organization. Students will be able to position themselves as leaders within their organization. St. Joseph’s College’s online MS in Management degree program never requires students to attend at the Patchogue, New York campus. This online master’s in management and leadership program prepares students for the constantly changing business world. Students with Master’s in management and leadership stand out above other prospective employees. With its New York City location, St. Joseph’s has developed a strong presence in the city and has built a long history of vaulting students into high regions of authority, especially students from underserved backgrounds. The program at St. Joseph’s offers three concentrations. The health care management concentration focuses on helping students build skills necessary for health care managers across the industry. The Human Resources management concentration is geared for students already in Human Resources and want to advance their current career. It teaches them to be better leaders, using strategic and critical problem solving. The organizational management concentration focuses on those who are currently in public service, either in private or nonprofit industries. They learn to develop their communication skills, ethical decisions and increased performance. Bellevue University online MS in Management degree demonstrates why this small Nebraska school has become a national leader in distance education. The online program allows for flexibility so the students can schedule classes around their schedules. This program uses hands on experience in real world scenarios to help students enhance their skills. There are five concentrations available: Entrepreneurship, Human Resource Management, Executive Coaching, Project Management, and Marketing. Upon graduation from Bellevue’s online master’s in management program, students will have an edge to propel their careers into a management path, as well as improve the effectiveness of their organization. Students learn how to create effective plans for project management. They improve their ability to facilitate and control meetings. They learn the value of balancing human and financial resources. Benedictine University’s online MS in Management and Organizational Behavior gives students a deeper understanding of group and individual behavior, which is a necessary skill to achieve organizational effectiveness and met goals. The intent of Benedictine’s online master’s in management program is for students to take the knowledge they receive and make impactful changes in their current organization. Benedictine’s educational approach ensures that graduates will be better able to interact with the people in their organization. They will learn the value of positive and continual motivation. Students will be better equipped to take the lead on strategic organizational objectives. They will be able to lead planning initiatives and manage negotiations that lead toward resolving conflicts in the organization. They will be able to make positive impacts on policies that impact diversity, ethics and management. Duquesne University’s online MS in Management degree is geared towards students who are interested in leading teams or projects. This program focuses on helping students achieve a better understanding of leadership while working around their current schedules. Duquesne’s history of bringing education to working-class Pittsburgh, and its deep connections throughout the region (thanks to a model cooperative education program) make it one of the best choices in the Northeast for job placement. Duquesne’s online master’s in management students learn the value of ethical decision making in leadership. They will understand there are many layers to making decisions in management but leaders always need to have ethics in mind when making them. Students will gain a deeper understanding of how the constantly changing legal world has far reaching implications on business and managing it. Students will study regulatory concerns that managers commonly face. Students take a look at the risks associated with the business decisions that managers face every day. This includes insurance, sharing and hedging. Greenville University’s online MS in Management degree program focuses on the people of an organization. This program is geared towards students currently working and wanting to propel themselves into management. Students learn the value of team building, collaboration and professional skills needed in management. This program can be completed in two years and is flexible so students are able to work at their own pace and plan classes around their current schedules and obligations. This program gives students access to real world scenarios to gain hands on experience. They are connected with business leaders and organizational managers in the community. This allows them to interact with successful professionals and see how effective leadership looks in the real world. Greenville University also offers complementary programs to the Master’s in Management. They also offer a Master of Business Administration, an online Bachelor of Science in Organizational Leadership, and an online Master of Arts in Curriculum and Instruction. Is an Online Master’s in Management Respected By Employers? To get a good career start in the business field, many employers look for candidates with strong management and leadership skills. Collaboration, critical thinking, and organizational abilities would also help. An online degree in management or the MBA provides the students with leadership and business-related skills. An online degree in Management also provides the student with courses in marketing, consulting, and business analysis areas. But many employers will also care where you got your degree, and the primary sign of a solid business or management education is program accreditation. A graduate school with AACSB accreditation, for instance, has demonstrated its quality to a reputable third-party agency. A degree from a school meeting AACSB accreditation standards shows employers that you have earned a genuine degree – one that provides the training they want in a manager. AACSB accreditation (Association to Advance Collegiate Schools of Business) is usually considered the “Gold Standard” for business accreditation. Business schools that earn AACSB accreditation usually have strong connections in industry, either regionally or nationally, providing strong internships or exciting job opportunities to recent graduates. Faculty research is one major component of AACSB accreditation, so students at a school with AACSB accreditation can be sure they’re getting the most current knowledge. The ACBSP standards is similar to the AACSB accreditation standards in a few ways. The ACBSP accreditation, the Accreditation Council for Business Schools and Programs, works along colleges and universities to deliver grants for business degrees. However, it is more geared to smaller colleges than elite private and public research institutions. Graduates do ask, Is ACBSP respected enough among top employers? Is ACBSP accreditation good or bad in comparison to other accreditations? It’s worthwhile to think of ACBSP as “different” from the AACSB – not better or worse. ACBSP accreditation was created specifically because the AACSB accreditation standards puts too much emphasis on faculty research, leaving smaller teaching colleges out in the cold. Therefore, the ACBSP is based on the integrity and quality of the institution – regardless of whether it qualifies as a “research” institution. One last accreditation to consider is the International Accreditation Council for Business Education. According to IACBE.org, their accreditation is mission-driven and outcomes-based. The IACBE accreditation is for business-related programs and is available for all educational levels. The philosophy of IACBE accreditation standards is that “academic quality and excellence in business education should be measured in terms of the educational outcomes of an academic business unit” (IACBE.org.) These standards provide assurance for students and the business community, in that institutions are producing high quality business programs. How Much Should an Online Management Degree Cost? The business management degree cost is often very affordable. The tuition cost for online management degree programs range between $3,000- $10,000 per semester year. Although some may ask, “Can anyone find a business management degree online free?” Many institutions offer business-related scholarships for the online management degree. The types of business management degrees one receives can make a difference in the job outlook and salary of the graduate. The average salary that employers pay graduates with an online degree in management or MBA is $98,000, according to the BLS. However, some salaries are in the six-digit bracket for the business management degree cost. Employers searching for a manager will look for graduates with a strong background in business. Although there are many types of business management degrees to choose online, the Master’s in Business Administration (MBA) and Master’s in Management are the two most common types of business management degrees. The main difference between the two is who they are intended for: the MBA is for students who have a business undergraduate degree and work experience, while the MIM is for students who majored in another field and need managerial credentials for promotion and advancement.